For years, fundraisers for faith-based nonprofits have been inspired by Henri Nouwen's words: "Fundraising is, first and foremost, a ministry." In A Spirituality of Fundraising, Nouwen asserts that fundraising is more than an effort to support a common goal; it involves the calling and prayer for a common mission. While serving alongside the famous priest and author in a L'Arche community for disabled persons, Nathan Ball learned firsthand from Nouwen. 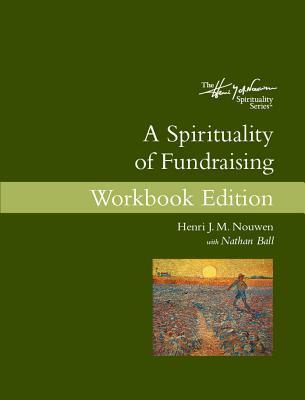 In A Spirituality of Fundraising Workbook Edition, Ball provides a how-to guide to accompany Nouwen's teachings. This new release from Upper Room Books combines the work of Nouwen and Ball to provide inspiration as well as practical tools for fundraisers--both professional and volunteer--whose ministries rely on donations. This workbook edition includes questions for reflection, discussion prompts for volunteer groups, suggestions for putting theory into practice, and the complete text of A Spirituality of Fundraising.